I was obsessed with them when I was in The Edmund Fitzgerald, so much so that I'd try to get on every bill with them. They were the most incredible live band I'd ever seen and I couldn't for the life of me figure out why they didn't change the generation in Britain. They definitely changed a lot of things for me. When that record came out, not only did I love the sound of it but also that it kind of made it feel possible to make a record and put it out. What's becoming clear to me as I go through this list is that there's something to do with people's voices that connect directly. 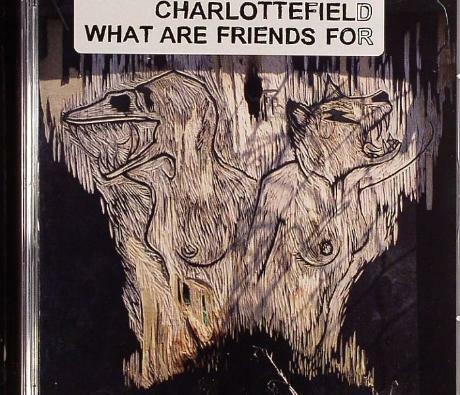 All of Charlottefield were incredible musicians but there was something so animalistic about Thomas [House]'s scream - both live and the way they captured it on the first record. It's just so raw, there's something about his scream in particular - I could never quite grasp what he was singing about or what he was singing, but there was something searing about that scream that made me wanna play guitar obsessively and play shows and get on bills with them and made me wanna lose myself in music even further than I had done at that point.